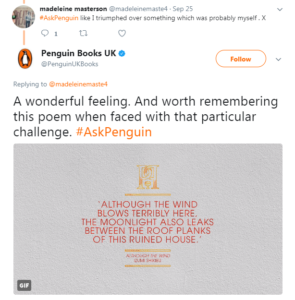 Penguin Random House UK pushes the boundaries beyond the book and uses technology to give audiences a personalized experience with campaigns like Ask Penguin and the Pride Book Club. Through our Penguin Books UK channels, we are engaging with readers in a completely new way by focusing on personalization. 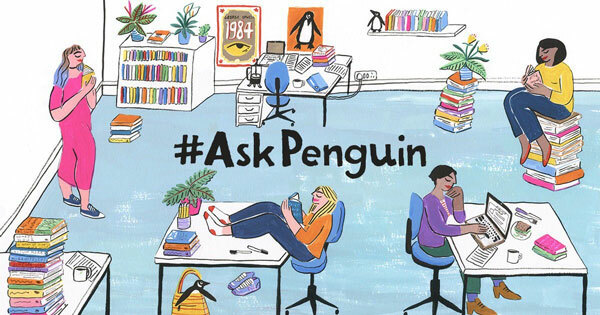 Ask Penguin, our biweekly personal book recommendations, allows us to have direct conversations with our readers on Facebook and Twitter. 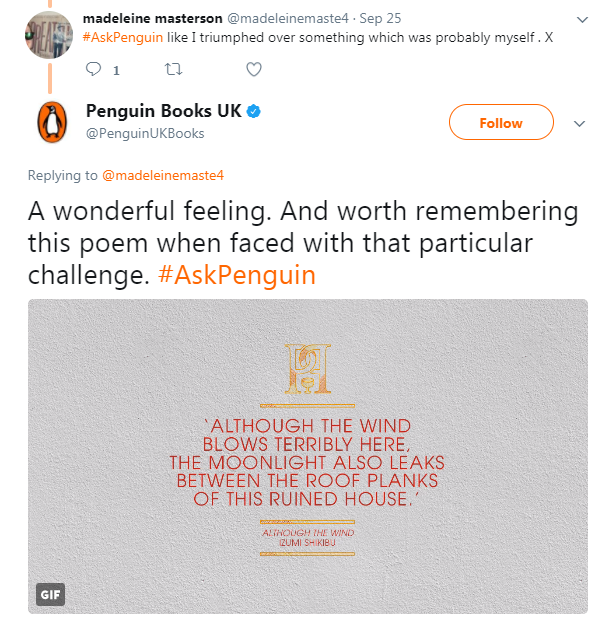 Using #AskPenguin, our followers receive completely bespoke recommendations based on their mood, a theme they’re interested in, or other books they have enjoyed. For example, to mark National Poetry Day in September, William Sieghart, founder of the annual celebration of poetry and author of The Poetry Pharmacy, recommended poems to suit the mood of requesters, which ranged from tiredness to triumph. 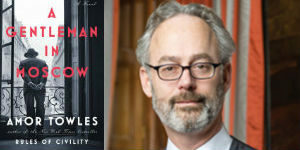 We are also experimenting with Twitter threads, creating themed reading lists and stories. To celebrate International Women’s Day 2017, for example, we used this feature to showcase a number of inspirational women who appear in our bestselling title The Female Lead – Women Who Shape Our World by Edwina Dunn, with original photography by Brigitte Lacombe. Our young adult community aimed at 16 to 19 year olds, Penguin Platform, is growing rapidly, as we drive discussion on issues this audience cares about through our online book clubs and targeted content. 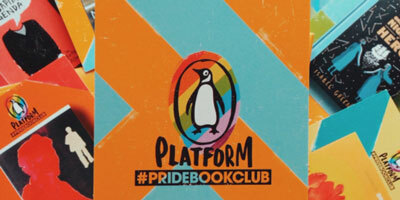 We recently ran a Pride Book Club, collaborating with well-known YouTubers and influencers, to encourage this digitally engaged audience to join a virtual book club and have conversations with us and our network of book bloggers. 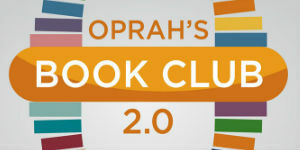 The online book club proved so popular with our young adult community that we launched a Black History Month edition in October featuring Yrsa Daley-Ward, Zadie Smith, Kayo Chingonyi, George the Poet, and many more inspirational authors. As a result of having direct conversations with our young adult community and using in-depth insights on the causes and issues this audience cares about, we are able to deliver a tailored, relevant offering to our Penguin Platform audience. By going beyond the book and using technology to directly engage with our audiences, we’re able to captivate both loyal readers and new audiences alike. Our Black History Month Book Club features important backlist classics and new releases, including authors Nicola Yoon, Sam Selvon and George the Poet.